Villanova is a 17.5 point favorite over UNC-Asheville in the south region first round. The 29-5 Villanova Wildcats were in line for a potential #1 seed until they were upset by Seton Hall 69-67 in the Big East Championship game. Not only did the Wildcats drop from the #1 line but they were sent to the South region in Louisville rather than the East in their home city of Philadelphia. The Wildcats are the #2 seed and will take on the #15 seed UNC-Asheville Bulldogs of the Big South in the first round in Brooklyn Friday. The winner between the Bulldogs and Wildcats will take on either the #7 seed Iowa or #10 seed Temple in the second round Sunday. This is the first ever meeting between Villanova and Asheville. UNC-Asheville is coached by Nick McDevett. The Bulldogs are making their fourth trip to the NCAA Tournament, and first since 2012. This is the first time the Bulldogs aren’t a #16 seed. UNCA is 22-11 this season and finished tied for third in the Big South at 12-6. Asheville won the Big South Tournament by beating the top two seeds High Point in the semifinals and Winthrop 77-68 in the championship game. UNCA went 1-1 against NCAA Tournament teams. The Bulldogs have a neutral site loss to Middle Tennessee in the Great Alaska Shootout, plus road losses at Tennessee, Western Carolina, Texas A&M, Radford, High Point, Coastal Carolina, and Winthrop. UNCA has home losses to Elon, Radford, and Coastal Carolina. The Bulldogs have neutral site wins over Drexel and Loyola-Illinois in Alaska, plus Liberty, High Point and Winthrop in the Big South tournament. UNC-Asheville has non-conference wins at home against East Tennessee State and at Georgetown. In conference, the Bulldogs have home wins over Gardner-Webb and Winthrop. UNCA is 6-0 ATS and the total is 2-4 this season. The Bulldogs were 1.5 point favorites against Winthrop in the Big South Championship game. Villanova is coached by Jay Wright. The Wildcats are making their 36th trip to the tournament and 11th since 2005. Villanova won the Big East regular season title with a 16-2 record. The Wildcats beat Georgetown in the quarterfinals of the Big East Tournament and Providence in the semifinals before the loss to Seton Hall in the championship. The loss snapped a five game winning streak for Villanova. The Wildcats went 10-5 against NCAA tournament teams. Villanova is coached by Jay Wright. The Wildcats have losses to Oklahoma in Hawaii and at Virginia, Providence and Xavier. Villanova has home wins over Nebraska, Akron, LaSalle, Delaware, Penn, Xavier, Seton Hall, Marquette, Creighton, St. John’s, Butler, DePaul and Georgetown. The Wildcats have neutral site wins over Stanford and Georgia Tech in the NIT Season Tip-off in Brooklyn, along with road wins at St. Joseph’s, Creighton, Butler, Georgetown, Seton Hall, St. John’s, Providence, DePaul, Temple and Marquette. Villanova is 15-17-1 ATS and the total is 17-15-1 this season. The Wildcats were 6 point favorites against Seton Hall and the total was 139.5. Shop and compare the best online sportsbooks with our sportsbook review page. Asheville is outscoring teams 76-66 this season. The Bulldogs are shooting 45.8% from the field and 32.4% from 3 point range. UNCA makes 69.4% of their free throws. Opponents are shooting 42.3% from the field and 28.4% from three point range. UNC-Asheville is #1 nationally in three point defense. The Bulldogs average 37.8 rebounds and opponents average 30.6. UNCA averages 12.5 assists, 13 turnovers, 9.3 steals and 3.3 blocks per game. Opponents average 10.7 assists, 15.7 turnovers, 6.7 steals and 2.4 blocks per game. Dylan Smith averages 13.5 points, 2.7 rebounds, and 1.8 assists per game. Dwayne Sutton averages 12 points, 7.8 rebounds, 1.3 assists and 1.6 steals per game. Kevin Vannatta averages 11.7 points, 4.2 rebounds, 2.7 assists and 1.2 steals per game. Ahmad Thomas averages 11.2 points, 6.5 rebounds, 1.9 assists and 2.1 steals per game. Sam Hughes averages 10.9 points, 4.5 rebounds, 1.2 assists, 1.3 steals and 1.3 blocks per game. Will Weeks will also see time in the rotation. 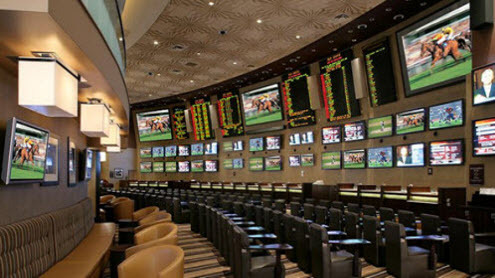 Check out our college basketball odds page for instant line updates on every game. Villanova is outscoring teams 77-64 this season. The Wildcats are #20 nationally in points allowed. Villanova is shooting 46.7% from the field and 34.4% from 3 point range. The Wildcats are shooting 77.7% from the free throw line. Villanova is #2 nationally in free throw shooting. Opponents are shooting 40% from the field and 33.5% from 3 point range. Villanova is #29 in field goal defense. Villanova averages 35.6 rebounds per game and opponents average 29.7 per game. The Wildcats average 16.1 assists, 11.1 turnovers, 6.7 steals and 3.4 blocks per game. Opponents average 12.9 assists, 13.9 turnovers, 5.9 steals and 2.2 blocks per game. Josh Hart averages 15.5 points, 6.9 rebounds, 1.9 assists and 1.1 steals per game. Ryan Arcidiacono averages 11.9 points, 3.1 rebounds, 4.4 assists, and 1.4 steals per game. Kris Jenkins averages 13.3 points, 3.8 rebounds, and 2.1 assists per game. Jalen Brunson averages 9.9 points, 1.8 rebounds, and 2.6 assists. Daniel Ochefu averages 9.7 points, 7.6 rebounds, 1.5 assists and 1.5 blocks per game. Mikal Bridges, Phil Booth, and Darryl Reynolds will also get time in the rotation. Donte DiVincenzo and Tim Delaney are both out indefinitely. UNC-Asheville is 6-0 ATS overall, 4-0 after a cover and against teams with winning records, 4-1 in Friday games, 3-1-1 in NCAA Tournament games, 20-7-1 in neutral site games, and 18-7-1 after a straight up win. Villanova is 6-1 after a straight up loss, 25-11 in non-conference games, 27-13 after failing to cover, 2-5 in neutral site games, 5-14 in Friday games, 2-7 in NCAA Tournament games, 1-4 against teams with winning records, and overall. UNC-Asheville leads the nation in three point defense, and has a win against Villanova’s conference rival Georgetown. Villanova is not Georgetown though. The Wildcats win a competitive game by pulling away late. 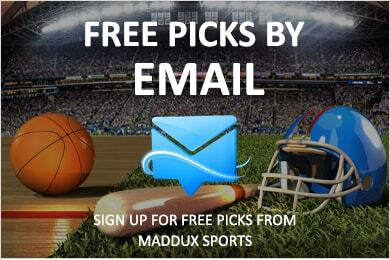 Maddux Sports is off to a hot start this basketball season, dont miss anymore winning picks, Click Here Now To Get These Winners!